Terry Glavin: Left Gatekeeper To The Ziocon False Flag Hegemony - That's Me. Left Gatekeeper To The Ziocon False Flag Hegemony - That's Me. I see Charlie Smith, the Vancouver 911-Truthers' best friend and editor of a once-great weekly, is insinuating something about my role in yet another conspiracy theory, which I can't quite figure out. I think it involves taxes. I find this particularly amusing because I've just arrived home from Saltspring Island, where I sat on a panel last night to talk about my latest book ("Come From the Shadows") and hear what my co-panelists Murray ("The Savage War") Brewster and Ann ("Kabul In Winter") Jones had to say about theirs - at a weekend literary festival organized by what Charlie might take to be a spy nest of New Democrats, including formerly rising NDP star Michael Byers. In the coming days I will be flying to Terrace and Prince Rupert to give some talks, hosted by the Academic Workers Union and other suspiciously leftish-sounding entities, and to meet with some local tribal chiefs. I expect this will make me a secret agent for The Fourth World. I will also be speaking at an event at the University of Victoria, with Green Party leader Elizabeth May, organized by the UVic Greens. But before Charlie accuses me of taking bribes from Al Gore or being on Leonardo DiCaprio's eco-payroll he might wait until I get the opportunity to talk to the Sisters of St. Anne (I got my fingers crossed on that one). Then he can more usefully smear me as being a paid agent of the Blessed Virgin Mary who is also on the side of the child pornographers, and a double agent for the Bildebergers. All this is to say I have nothing better to do with my time than purposely confuse and confound the exceedingly powerful cultural force known as Charlie Smith, and to try to throw him off my trail so as carry out the edicts of the Protocols of the Learned Elders of Balleyvourney in the ancient, chapter-and-verse obligation to subvert the NEB hearings into the Enbridge pipeline in order to turn the Alberta oilsands into a giant Beamish distillery while everyone was looking the other way. The fools, the fools! About the U Vic gig: would you consider refusing it in light of their "poor" and "mediocre" rankings in the Campus Freedom Index? The rubber's got to hit the road somewhere, and whether left wing or right there should be consensus that universities need freedom of thought, expression and all of that good stuff. Additionally, when Derrick Jensen spoke at U Vic, I was there, and he was introduced by an actual terrorism supporting professor (http://www.cbc.ca/news/canada/british-columbia/story/2011/01/11/bc-uvic-fbi-waziyatawin.html) wearing a good $800 worth of clothing and accessories who said, and I quote, "he is the first white man to get it (on environmental issues)" You're a white guy, and an environmentalist, I've noticed. I noticed that Bill Tieleman gleefully twittered Charlie's drivel, which came as no surprise. I am reliably advised that there are sacks of hammers that have petitioned to have Tieleman legally dissociated with them, on copyright infringement grounds. As for UVic's rankings - mediocre - the JCCF ranks most universities in Canada that way. As for being a white environmentalist, moy payple are pikeys, so white most people didn't consider us white until the 1880s and soem still don't. As for being an environmentalist, I've always rejected that tag. Conservationist, if I have to be tagged at all in that taxonomy, but I'd rather not be tagged at all. I'm not into identity politics. I am familiar with the Fraser Institute and completely unfamiliar with Charlie Smith and the Georgia Straight. The Fraser Institute is highly libertarian (it supports small government and a stronger market economy). If one reads or at least skims it literature, one finds that the Fraser Institute rarely if ever delves into international issues. 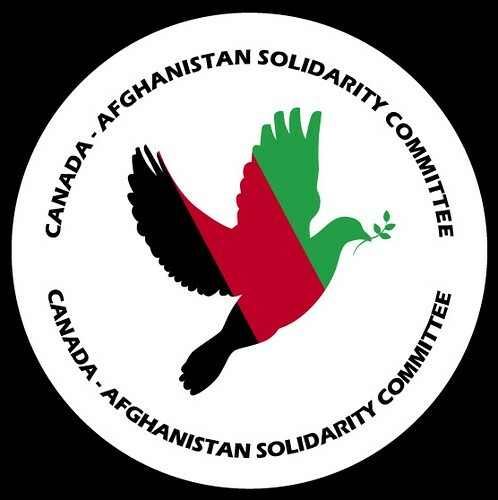 Since it is highly libertarian, many if its supporters actually agree with Canada's hard left, and support an immediate withdrawal from Afghanistan (I do not support this position). Also, the Fraser Institute is strongly pro-free trade, and many writers would not support tying human rights to trade negotiations with CHina (as the early Stephen Harper did). At any rate, I'm not sure, Terry, that the Fraser Institute endorses your views. They are willing to give you a fair hearing. Charle Smith is way off base. Did the Georgia Straight review your book? I wonder what they said about it. DMurrell: You are unsure whether the Fraser Institute supports my views? Ya think? As stoppist as any in the stop-the-war bedlam, many of them would be, I'd guess. There are people who fancy themselves to be "progressive" and "left-wing" who hate me. I'm used to it. They will fixate on my talk to the Fraser Institute and ignore any number of gigs I've lately done or have penciled in my calendar hosted by Liberals, New Democrats, Greens, First Nations, university unions. . . Comes with the territory, but worth the laugh. Gulbuddin Hekmatyar: Return Of The Vampire. Shoot Everyone Above The Rank Of Major. Those Are Some Great New Friends We Got. They Thought They Were So Bloody Clever. It's Political Correctness Gone Mad I Tell You. Requiem, Domhnach na Fola, January 30, 1972.